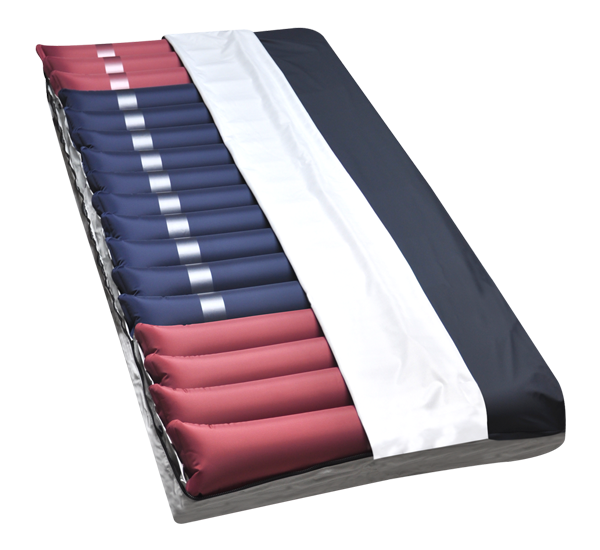 It operates in alternating/static modes up to 150 kg, is designed for the care of stage 4 pressure ulcers and is used for prevention on very high-risk levels. 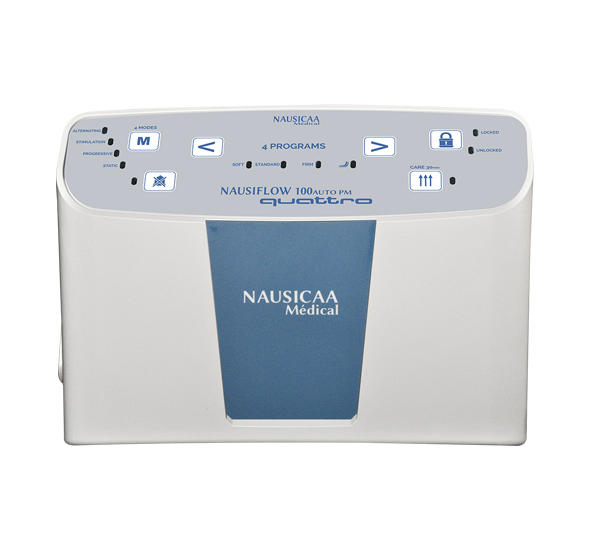 It automatically adjusts to any air level, is equipped with a key lock, a timed care position, a classic dynamic mode, a secured static mode in low continuous pressure, a sitting position and 3 comfort programs. Its compartmented configuration and its adjusted sizes fit any type of 90 cm width bed (bedspring from 85 to 90). It enables multiple configurations due to its dischargeable cells with plug and its static head section which increases patient comfort. 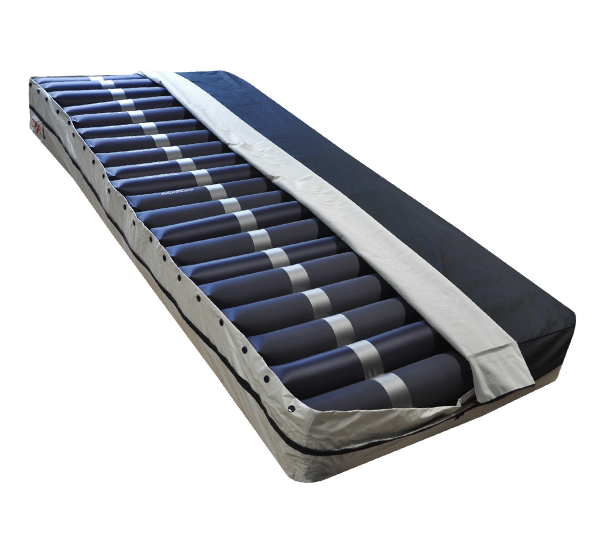 The NAUSIFLOW 100-834 Air Mattress is equipped with 8-shaped cells which favours patient immersion by reducing contact pressure and it enables multiple conﬁgurations due to its dischargeable cells with plug. Its compartmented conﬁguration with a double layer of air and its adjusted size (20 x 85 x 200 -20cm full air height) ﬁt any type of 90cm width bed (box spring from 85 to 90 cm).